At best, the year 2019 will hopefully be full of expanding horizons — so if traveling happens to be one of your major New Year’s goals, then you’re in luck, cause the cosmic vibes are on your side! In other words, book those tickets now — and start stocking up on crystals to use while traveling while you’re at it, because 2019 is our year to ~protect our energy~ and high-vibe it up. Whether’s it’s simply taking a cheap road trip to play tourist in a nearby city or flying your thrill-seeking self to the other side of the globe for an extravagant vacation, traveling in any capacity can be an amazing way to break up the monotony of your routine and give yourself a fresh perspective on life — which is a much-needed relief for many of us after the hectic 2018 we just lived through — and keeping our travel crystals near and dear to us while we’re on-the-go can help promote protection, chillness, and safety. If astrology is your jam, then you’ll appreciate that Jupiter will spend the majority of 2019 in the travel-happy sign of Sagittarius, which also happens to be one of the planet’s home signs — so, it’s gonna bring good vibes all around. While this is especially exciting for Sagittarians (pack those bags, babies), this ginormous planet of good luck has no shortage of energy to share with others, so it’ll likely be spreading the travel bug to all signs during this transit. Given this placement, 2019 is an ideal time for traveling, learning new languages, and immersing yourself in other cultures. 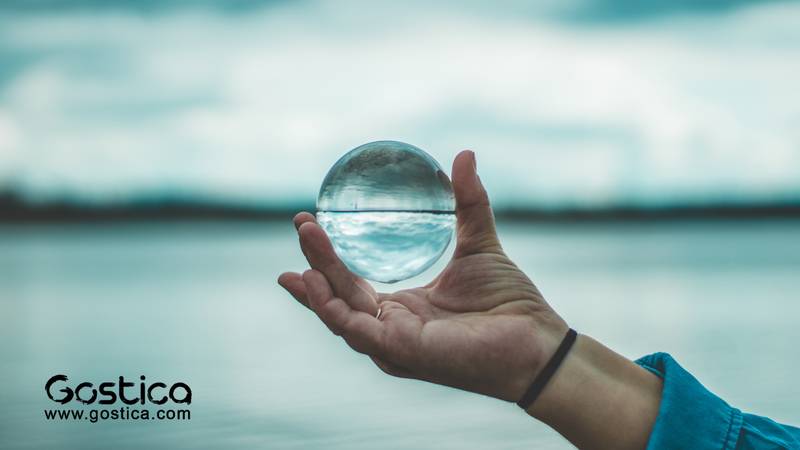 Anyway, while traveling can totally make life worth living, it can also be hella stressful — but thankfully, that’s nothing a lil’ crystal healing can’t help you with! Bustle spoke with Heather Askinosie and Timmi Jandro, crystal experts and co-founders of Energy Muse, and co-authors of the book Crystal Muse: Everyday Rituals To Tune In To The Real You. “Traveling is one of the most exciting, fun, and rejuvenating experiences, but it can also be tiring and stressful,” shares Energy Muse. 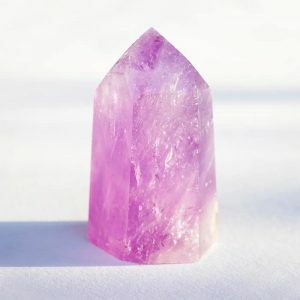 “Use … crystals to ease the difficulty of travel so you can fully enjoy the adventure.” Crystal healing to the rescue! 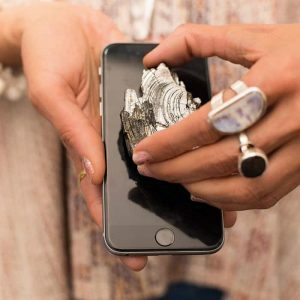 There’s always room in your bag to pack a lil’ palm stone or two, so don’t sleep on the travel benefits of crystals when heading out on your trips in the coming year. 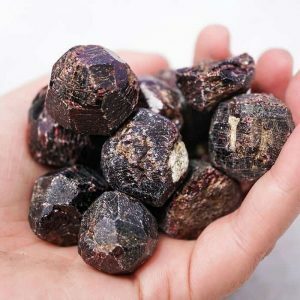 Here are some crystals for your 2019 travels as suggested by Energy Muse, plus a couple extras that happen to be my personal travel favorites, too. Safe (and mystical) travels, friends! How to use it: “Carry it with you in your pocket or purse,” advises Energy Muse. Having this baby on you at all times will serve as a mini anxiety reducer to keep you chill in the face of travel stress. Between traffic, delays, lines, and other snags, patience is a virtue that is basically required of all travelers — but not everyone has an easy time letting go of control and going with the flow of things. “When you’re stuck in lines or facing delays, this stone reminds you to slow down and enjoy the journey,” explains Energy Muse. How to use it: Consider this stone your secret weapon when it comes to subsiding your impatience-induced rage. “Hold it in your hands when you are feeling impatient,” shares Energy Muse. Keep it handy, and whip it out whenever needed. 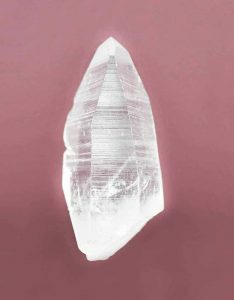 Allow the crystal’s energy to imbue your spirit with calmness and a go-with-the-flow attitude. 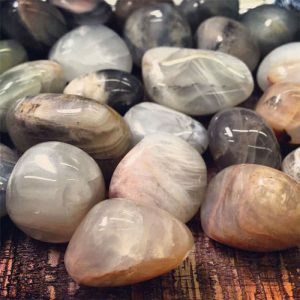 “Moonstone is known as a ‘traveler’s stone’ because it protects you and your belongings throughout your travels,” explains Energy Muse. It can be way too easy to lose track of precious items (passports, tickets, phones, credit cards, etc.) during the hustle and bustle of being on-the-go, so everyone could use a lil’ protective boost via moonstone’s energy. How to use it: As advised by Energy Muse, “Add a piece of Moonstone to your luggage so it doesn’t get lost!” Because nothing can cause you to lose your sh*t more than, well, losing your sh*t.
It’s hard to not constantly have your phone in hand while traveling, using it for everything from finding directions to taking photos — not to mention the full-body scans we’re exposed to every time we board a plane — so any digital detoxing a crystal can offer is helpful. How to use it: “Wear Shungite to the airport or place a piece of it in your car,” advises Energy Muse. You can even buy a piece of shungite that attaches to your cell phoneso you’ll have it right where you need it. Being in a foreign place, trying totally new things, partying with new people, and hopping into cars and planes at every stop can be super fun — but a traveler’s lifestyle can leave us vulnerable to all sorts of dangerous situations. 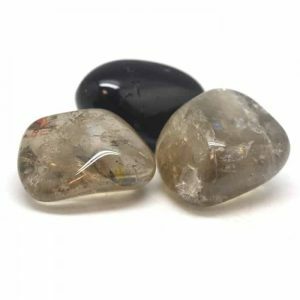 Smoky quartz is an incredibly protective stone when it comes traveling and being on-the-go. It’s said to be able to protect you from the disorienting energies of all the new people you’ll encounter, keep you alert (which is important when you’re in unfamiliar surroundings), plus keep you safe while you’re en route from place to place in moving vehicles. You can never carry too many protective crystals while traveling, right? Like moonstone, garnet is also known as a traveler’s stone. These babies are said to be protective against accidents (especially while people are away on travels), and are often given as a gift to ensure someone’s safety in traveling and returning back home. Give one as a gift to yourself or anyone else who’ll be embarking on a 2019 travel journey! How to use it: This is a good stone to keep on you at all times while on trips, especially if you’re traveling solo. It’s even more helpful to wear in a piece of jewelry so that you don’t have to worry about transferring it from pocket to pocket on the regular. This was written by Nina Khan for Bustle.